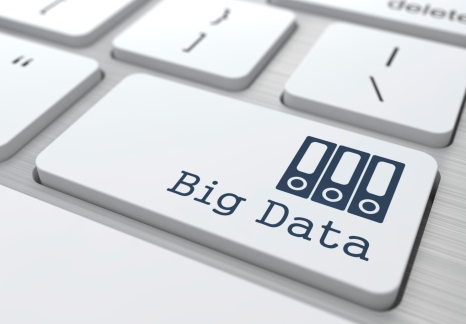 Getting Into Big Data- People around the world have embraced social media. Whether we are airing our political views on Twitter, our best lives on Instagram, or what we had for breakfast on Facebook, we share parts of our lives no one used to see. Every time we think either the tipping point has been reached or the popularity of these platforms will diminish, we are proved wrong as they are prevalent in everyday life as much as they ever were – potentially more. The whistle blowers behind the Cambridge Analytica disclosure made even the most trusting of social media user question how our data is obtained, stored, and used, encouraging us to think more carefully on how and where we share our information, and who can then access it. Big names including Will Ferrell and Jim Carrey very publically deleted their Facebook accounts, with Carrey going even further as to selling his Facebook stocks, suggesting they profited from Russian interference in the US election. Stories of social media and their data policies have never before created more headlines or been under the current level of scrutiny until now. However, with celebrities quitting social platforms, will they finally be able to create a large enough dent in social media’s popularity, and is it changing the way we own our own data? Trends in social media usage suggest not, but the impact is felt most strongly in the lengths individuals and business will go to visibly protect personal information. Companies have suffered irreparable reputational damage as a result of data misuse. Recently, the UK governmentexperienced an embarrassing data breach when their party conference app security was compromised. Personal data was freely available simply by entering an email, without requesting a password. Facebook is faced with a fine of an incredible $1.6bn if found to have compromised users data and breaching GDPR. Every company, institution, and business is under ever increasing scrutiny when it come to data management with the public backlash and anger still growing. This presents opportunities to emerging technology to create a solution which works for business as well as the public and meets the changing demands of big data management. Big business across sectors are considering blockchain strategies to future-proof their data capabilities. Major banks, social platforms, and governments are currently acting as trusted custodians of our data – but that is of course not their primary purpose. Blockchain is offering a way to decentralize and store data without huge, costly data centers and without employing third party providers. Blockchain development seems to have coincided with the growing demand and need for ownership and protection over personal data. This isn’t coincidence of course, and early adopters have spotted gaps and problems in the current methods of big data collection and usage. According to Global Fintech Report 2017, 77% of Fintech institutes expect to adopt a blockchain solution as part of their production system or process by 2020. There are few comparable innovations disrupting so many industries all at once. With the current advancements of blockchain technology, we can both own our own data and also benefit from doing so. Our mobile devices for example, can store all our personal data that can only be accessed with our biometrics to prove our identity to requesting companies without revealing any underlying PII. This also solves one of the biggest challenges faced by external factors such as policies placed by governing bodies as the case with GDPR and the right to be forgotten. Data will always be on the owner’s personnel – giving them full control and security of managing their information while benefiting from the decentralized verification processes from blockchain. Private blockchain protocols can also be used in tandem to manage any other operational information required.